This new Bible study explores the book of "Galatians", the apostle Paul's powerful and passionate letter on religious freedom, written to a group of Gentile Christians who were under pressure to conform to the laws and practices of Judaism. Paul's core message is that salvation is by faith in Christ, and Christ alone - nothing is to be added to this. Through faith in Christ we are made right with God, given eternal life, brought into the family of God, and provided with a basis for living that is both free and moral. It is a message which needed to be heard then, and still needs to be heard today by contemporary society. Here John Houghton unpacks Paul's sometimes complex arguments, giving a clear overview of the key points, and enabling individuals and groups to apply the truths of the gospel to their own lives, through icebreakers, discussion starters and more. 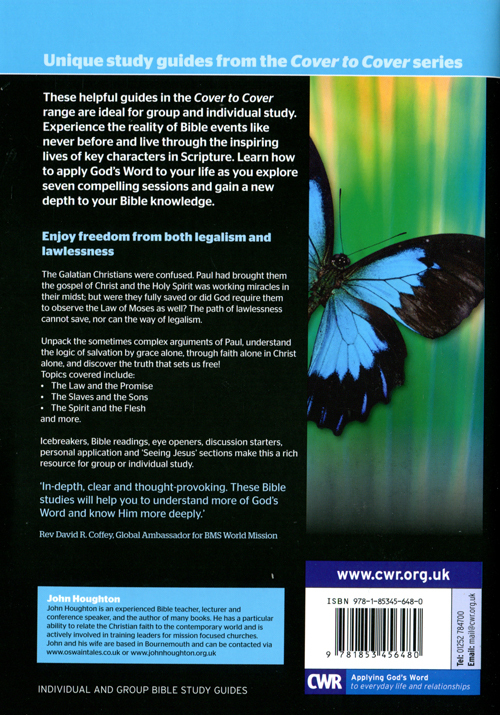 Galations Freedom In Christ - Cover to Cover Bible Study by John Houghton was published by CWR in November 2011 and is our 2927th best seller. The ISBN for Galations Freedom In Christ - Cover to Cover Bible Study is 9781853456480. 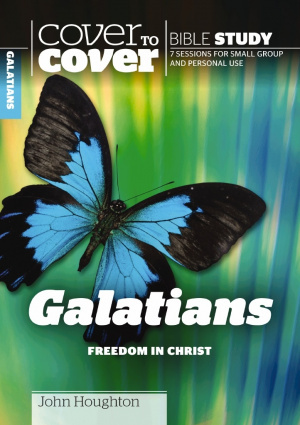 Be the first to review Galations Freedom In Christ - Cover to Cover Bible Study! Got a question? No problem! 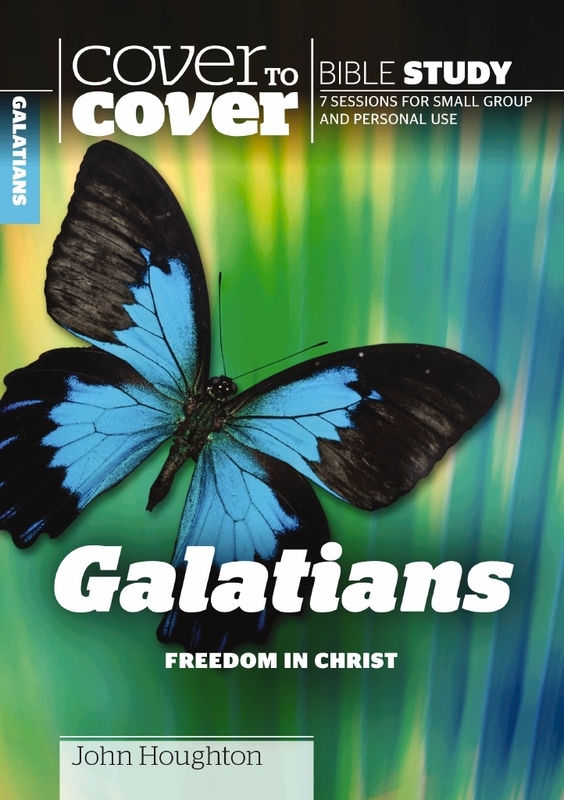 Just click here to ask us about Galations Freedom In Christ - Cover to Cover Bible Study.